In early October, the first photos of 2015 Toyota Kikai Concept were spread online, which will be shown to the public later at the Tokyo Motor Show 2015. Because of its unique design, It is extremely difficult to identify the novelty. However, it is clear that the prototype of 2015 Toyota Kikai Concept has shortage in body parts. The unique feature is that you can see how motor is working from the outside. Even in the cabin, there are small windows through which you can see the front suspension and brakes at the feet of the driver. Japanese experts point out that in this way they wanted to emphasize the complexity and beauty of car mechanisms. 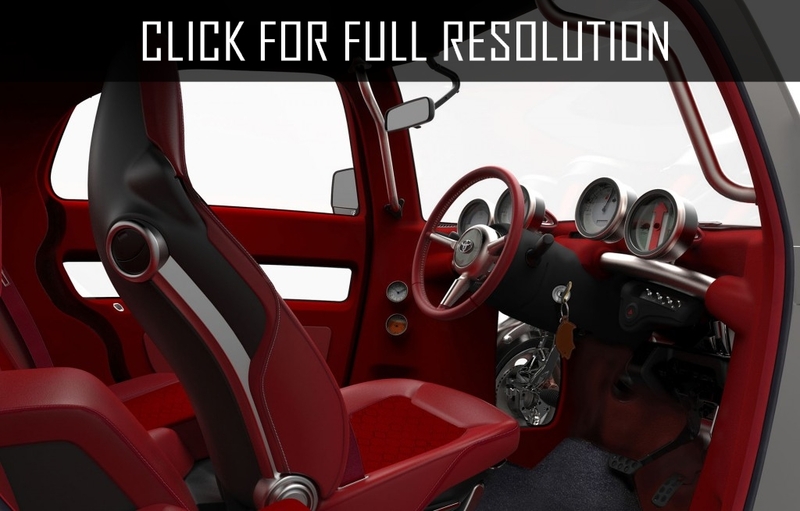 Despite its compact dimensions, 2015 Toyota Kikai Concept has three seats. The driver's seat is located in the centre, while two passengers can be allocated at the rear seat.